Returning home after years of living away can be an exciting experience for anyone, except for Malala Yousafzai, the youngest Nobel laureate in history, who has returned to her home country of Pakistan for the first time after almost six years. The global icon for girls’ education, Malala Yosufzai (named after the brave Afghan girl of Maiwand who mobilised her countrymen against the invading British army in the 19th century) touched down in her hometown Swat last week. Celebrated worldwide for her courage and dedication towards education in the wake of brutal Taliban militancy, the young woman was surrounded by a handful of government officials under army-controlled security during this landmark visit. 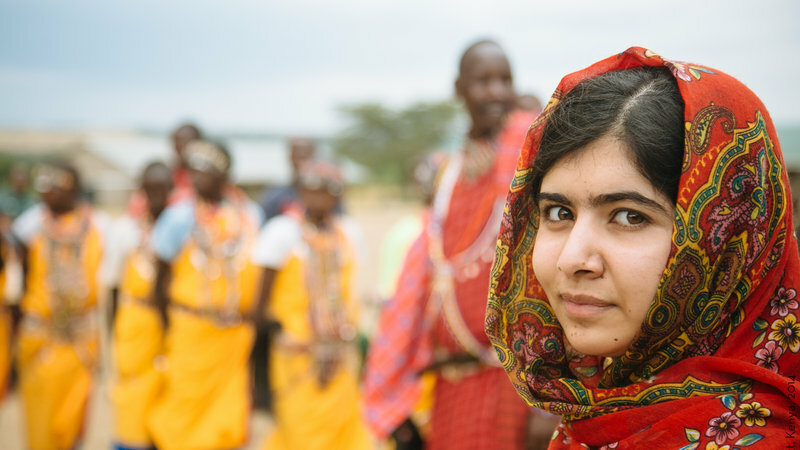 In an emotional address, Malala dubbed her homecoming as a dream-come-true moment. „Today is the happiest day of my life,” she expressed in her mother-tongue Pashto. In October 2012, Malala — then 15 years old — was shot in the head at point-blank range by Taliban gunmen as she was returning from her school in Swat valley. She suffered bullet injuries and was admitted to the local military hospital, but was later flown to the U.K. for further treatment. In spite of her rapid rise to fame, or perhaps due to her global reputation, a significant number of people in Pakistan, a country of some 200 million citizens, still see her as a foreign ‘stooge’, which mounts to prevailing Westophobia in the backdrop of the west’s growing Islamophobia. In Lahore, Pakistan’s second biggest city, ‘I am not Malala Day’ was celebrated to condemn the arrival of the Nobel laureate. The President of All Pakistan Private Schools Federation, Kashif Mirza, representing over 200,000 private schools embarked on this mission over Malala’s alleged anti-Pakistan and anti-Islam views. While the top leader of the group who has openly taken responsibility for the attack on Malala, Tehreek-e-Taliban Pakistan (TTP), remains in control of security forces. Ehsanullah Eshan, a former mouthpiece of the (TTP) has proudly claimed responsibility for a number of brazen militant attacks across the country for years, leaving scores of civilians, including women and children, dead and wounded. Women take to the streets of Poland once again in a desperate fight to protect their reproductive and human rights. How does the transformative ‘nyumba kumi’ concept in East Africa, embracing the ten houses ideology, make neighbours their brothers' keepers? One of the surprising things about the recent Cambridge Analytica scandal, is that it's not really a scandal at all. Nature for Water raising awareness of the need for dialogue and action on water governance and how we can change water behaviours and decisions. The execution of Brazilian political activist, Marielle Franco, is an attack on freedom, striving to destroy the resistance she represented.